This afternoon, I was wearing all black and riding my shiny black bicycle (with flash red panniers) when I felt autumn arrive. As I came around the corner on Annette Street by my favourite coffee shop, I was caught in a rainstorm that didn't exclusively comprise rain; manically swirling yellow leaves were at least as abundant as the cold water running down the back of my hoodie. It was lovely, not to mention slippery. After a month of relatively endless ("relatively" because, after all, the sun is setting before 8pm these days) sunshine and sandals and bare legs, summer has finally moved on. And you know what that means: Bookphilia has come back inside and has some blogging to do. I have been reading steadily, of course, as well as physically covering a great deal of ground, both on foot and on wheel. And I've been busy with other "life" things (don't ask me what those scare quotes imply, for I can't quite recall at the moment), but the fact is, a persistent and slow-burning internet disaster has been afflicting Bookphilia Castle. I am writing this post on a laptop that is from the Stone Age of Computing, i.e., it's about 8 years old. It takes 5-10 minutes to load pictures to Blogger (and given that this post contains 3 images, let's just say that I'm in the process of developing a Zen-like state of calm and disconnection (double entendre fully intended)). The real computer, the newish computer, the fast computer can't be reliably used these days because it breaks up with the wireless connection approximately every 45 minutes; it's behaving like a fussy and dramatic 14-year old boyfriend I once had (we were both 14, relax). This problem began well over a month ago and my dear husband, Master of Computery Things, has been unable to fix it. So I've been stuck. When I was spending almost every minute of every day outside, this clearly wasn't a big problem; now, however, that we are all quickly becoming dead leaf- and rain-bound, things have reached a crisis point. There may be a duel, but I'm not yet sure who I'll have to challenge. But yes, I've been reading. And now I am sitting cozily and happily ready to discuss. 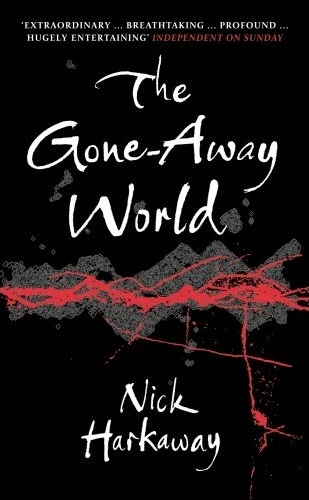 Several weeks ago, I finished a mad romp by Nick Harkaway called The Gone Away World. Part sci-fi, part action adventure, part slapstick, part surprisingly touching coming of age story, this novel was simply over-stuffed; Harkaway tried to pack too much into his first novel. But here's the thing: it was still really good and it still worked. My initial concerns that Harkaway didn't have complete control over his own narrative enthusiasm have, for the most part, proven to have been rather too prim and worried of me. Given how the whole thing ties up, he clearly knew from the beginning where he was going. And while, yes, he did pack a lot in, which created an appearance of literary chaos, the fact is, there were a whole packet of connecting clues I failed to pick up on. Why? The danger of the good romp is that you're too busy enjoying yourself bouncing around in the apparent chaos to get down to analyzing. That's one possibility. It could also have been residual coffee withdrawal, which I think (after two months) I am now finally free of. It may also have been the writing. I don't know how else to describe the energy of Harkaway's writing except to say that I think it entirely possible that every day when he sat down to write, he roared, in the spirit of that living genius Maurice Sendak, "LET THE WILD RUMPUS START!" I don't think it necessary that Harkaway wore a monster onesie in order to channel the Sendak God, but I do imagine he regularly pounded his chest while belting out this ageless, good-time battle cry. It doesn't matter why I missed all those damned connections; The Gone Away World is a bloody good, if not perfect, novel; I can't wait to see what Harkaway does next. 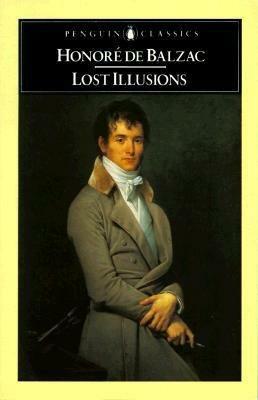 In an attempt to circle stealthily back towards my Victorian Lit project and my unappetizing copy of Thackeray's The History of Henry Esmond, I picked up Honoré de Balzac's Lost Illusions. This seemed like a safe bet, given how completely I loved my first Balzac novel, Père Goriot; alas, this latest foray into the father of French realism's vast oeuvre was not entirely satisfying. I think it should have been, though. 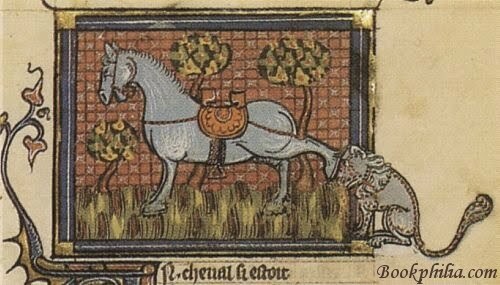 Balzac's writing was just as stellar, as penetrating, as incisively cynical and condemnatory, as strangely compassionate of extreme and ridiculous human failing as it was in Père Goriot; which may have been the problem, actually—Lost Illusions didn't seem sufficiently distinct from this other novel. Indeed, I'm fairly certain that in a year's time, I won't be able to distinguish the two in my memory except in very broad and fuzzy outline. As with Père Goriot, Lost Illusions features a naive provincial man-boy moving to Paris to be corrupted and to ruin those who believe in and adore him. The temptations Eugène and Lucien face are similarly shallow, fleeting, and amorphous, having entirely to do with succeeding in "Society." Because of this, Balzac's moral scalpel-wielding seemed less convincing overall, and that makes me incredibly sad. Meanwhile, my frustrated love affair with Haruki Murakami has reached a new low. I recently finished After Dark, the last novel published before this month's (well, this month in English) hysterically anticipated 1Q84. Don't get me wrong, After Dark contains some very, very good bits, but of all the Murakami novels I've thus far read, it makes the least overall sense. Murakami has with this novel made explicit something that I've always unconsciously believed—his works read best around 3 am, preferably when accompanied by a hard dose of insomnia. The dark and quiet whispered life of reading alone after midnight is his fiction's proper milieu. 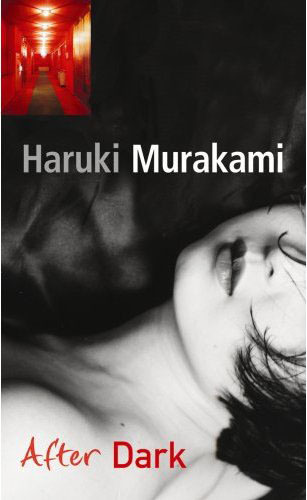 In the middle of the night (not when I've read most of the Murakami I've read, but when I've enjoyed it most), it doesn't seem problematic that much of his narrative makes no recognizable human sense (the lovely Norwegian Wood excluded, of course); indeed, it seems appropriate. As I still have several of his major works left to me, I almost miss the heyday of my grad school insomnia/Murakami renaissance. Even knowing that Murakami belongs in the cracks of existence made visible only after the sun goes down, and even knowing that Murakami clearly knows this about himself, After Dark is nonetheless the weakest, most self-indulgent, most inconsistently written novel he has in my experience produced. It should have been hacked at with a sacred editorial machete; it should have been cleansed in ritual re-writing fires. It was not; it simply cannot have been interfered with in the way it needed to be interfered with. It was, I'm guessing, published in the malformed state in which it burst original and entire from its author's forehead. But original...yes, Murakami is still absolutely original, at least in comparison with other writers, if not with himself. Nobody else writes the way he writes, and sometimes it's just so irresistible...Yes, I will probably eventually read the 900-page monstrosity 1Q84; I suspect there will be gnashing of teeth and tearing of hair though. So pleased to see how well you liked The Gone-Away World. I feel like this was my exact reaction to it. "This is too much fun to be good...no, it's totally actually good!" And total wild rumpus! Anyway, just excited since it's been a few years now since I read it and I too would like to see more from Mr. Harkaway.